This is essential reading for anyone with a serious interest in metaethics, from those coming to it for the first time to those actively pursuing research in the field. "This is a superb collection, edited by two of the leading lights in the field. This volume provides a splendid view of the rich and varied terrain of contemporary metaethics, with contributions by an all-star roster of philosophers. Those looking to familiarize themselves with what is happening in metaethics today need look no further than this immensely helpful handbook." 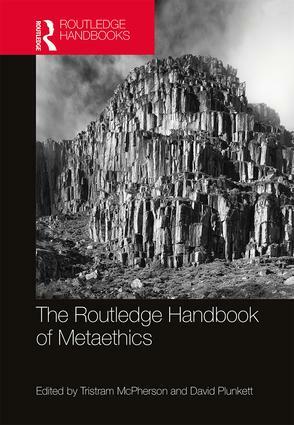 "This is an extremely valuable, comprehensive volume of essays on metaethics. The contributors, whether veterans or new voices, provide knowledgeable and original perspectives on just about every aspect of contemporary metaethical theory." Tristram McPherson is Associate Professor of Philosophy at the Ohio State University. David Plunkett is Assistant Professor of Philosophy at Dartmouth College.